The Wall Street Journal is reporting that millennials have learned how to get free TV with a simple antenna, for a one-time cost of about $20. Us old-schoolers have known of this ancient wisdom since, well, forever but have neglected to pass down to the young'uns. Let’s hear a round of applause for TV antennas, often called “rabbit ears,” a technology invented roughly seven decades ago, long before there was even a cord to be cut, which had been consigned to the technology trash can along with cassette tapes and VCRs. The antenna is mounting a quiet comeback, propelled by a generation that never knew life before cable television, and who primarily watch Netflix , Hulu and HBO via the internet. Antenna sales in the U.S. are projected to rise 7% in 2017 to nearly 8 million units, according to the Consumer Technology Association, a trade group. There is typically no need to climb on a rooftop. 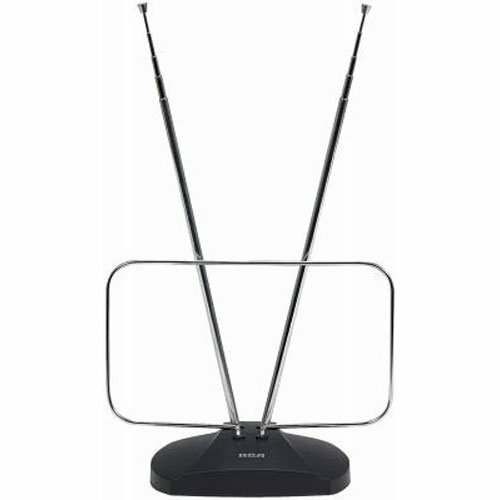 While some indoor antennas still look like old-fashioned rabbit ears, many modern antennas are thin sheets that can be hidden behind a flat TV or hung like a picture frame. millennials / Technology / television / The one simple secret cable companies don't want them to know!